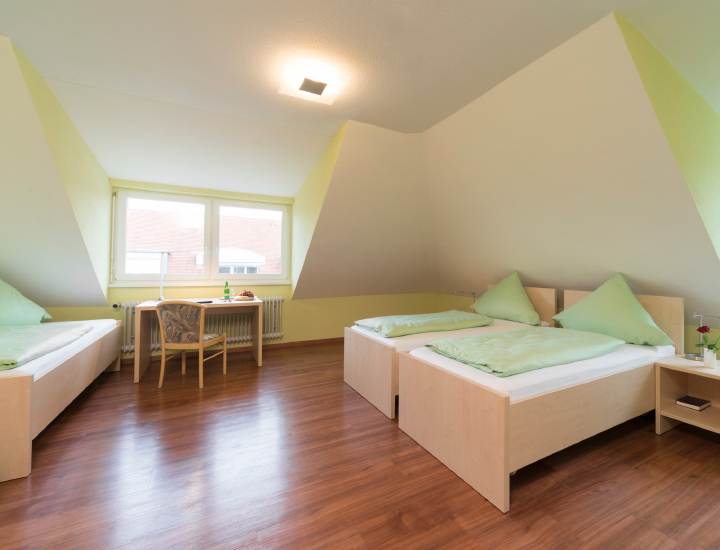 In the hotel there are 32 rooms: single rooms, double rooms, three bedded rooms and four bedded rooms. 20 rooms are in the main building, 12 rooms are in the guest house on the opposite side of the street above the butcher shop. 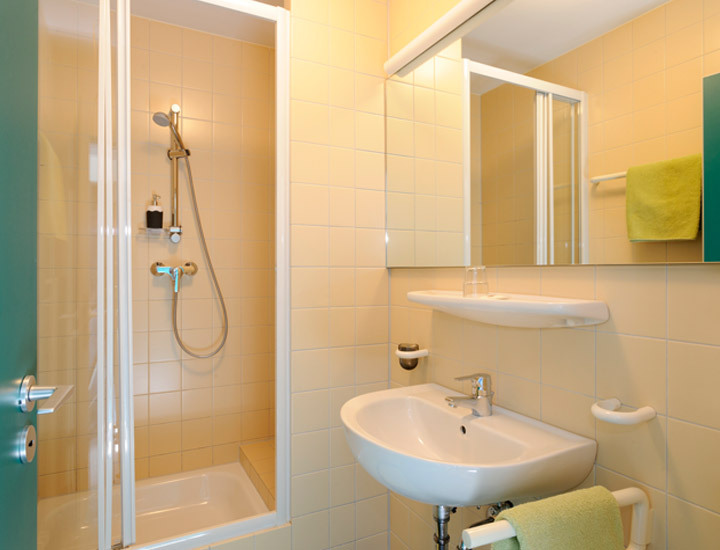 All rooms were renovated in 2005/2006 and are equipped with shower, WC, cable TV, telephone and free wireless lan. A lift and a drying room are available. 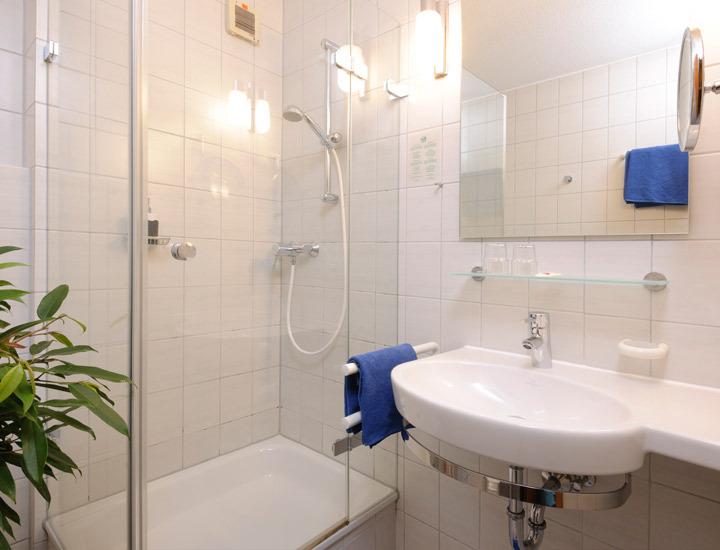 The hotel and guest house are wheelchair-friendly, one room is suitable for handicapped people. For underground parking there is no additional charge. 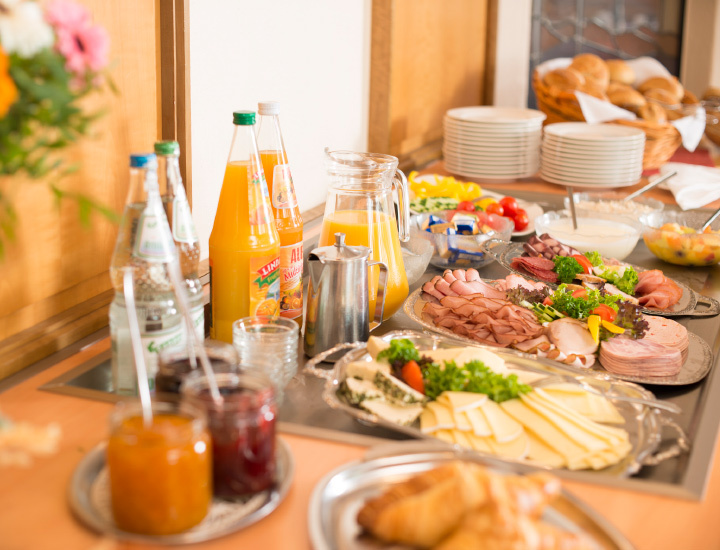 The room rate includes a breakfast buffet with products from our own butchery, farm eggs, fresh fruit and various cereals. 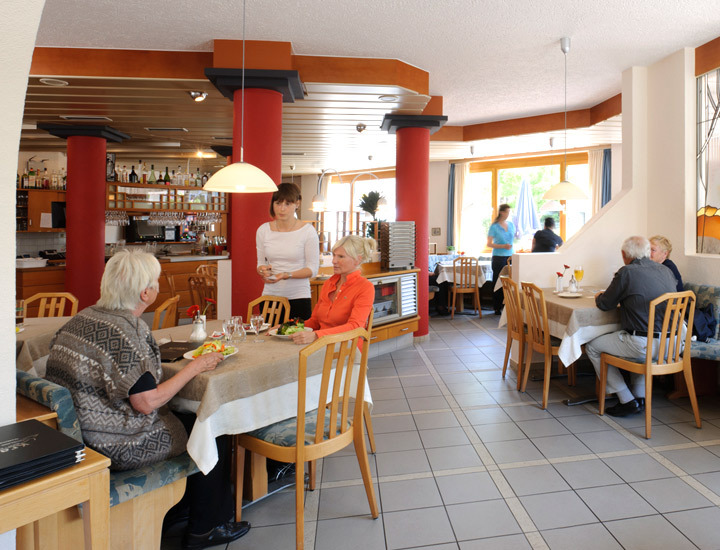 For quick snacks or the larger appetite: You can eat in our restaurant or in the room beside, where we have a total of 100 seats, where we spoile you with fresh products from our own butchery and regional specialties. Varied daily specials from € 7,00. The beer garden invites you to relax outside. Open daily from 6.30 am to 11 pm, on Sundays and public holidays we are closed. The premiere sports bar "KII", across the hotel, is open until 2 am. Since 1855 operating butcher Johann Margaf in his estate on the road to Schaffhausen, a so-called "Kranzwirtschaft", "Restauration Margraf" was called. 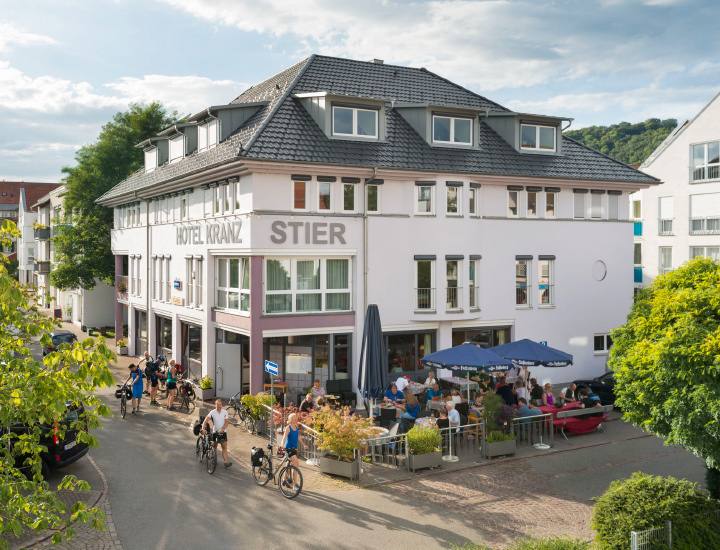 After almost 50 years the butcher Josef Jäger acquired in 1904 the Margräfsche property and led by spatial extensions both butchery and restoration under the name "Kranz" on. In 1913 was made another renovation. After the death of Joseph Jäger his widow took the "Kranz" with short-term interruption and passed the "Kranz", including the butcher's shop, 1931 to her son, master butcher Stefan Jäger. This began two years later with the construction of a slaughter house. With the closure of the "Kranz" in 1958 ended a 54-year-old family tradition. Eight years later, the butcher Erich Stier bought the butcher's shop and the inn and led both with his wife Gertrude on. In 1975, the demolition of the old inn and the construction of a residential and commercial building was carried out by the family Stier. Already one year later opened the renovated "Kranz" its doors again and was a symbol for the redevelopment of the center of Gottmadingen. The spouses Erich and Gertrud Stier then erected 1988/89 on the opposite side of the main road where previously stood for the operation of the associated farm buildings, a residential and commercial building with restaurant and hotel. 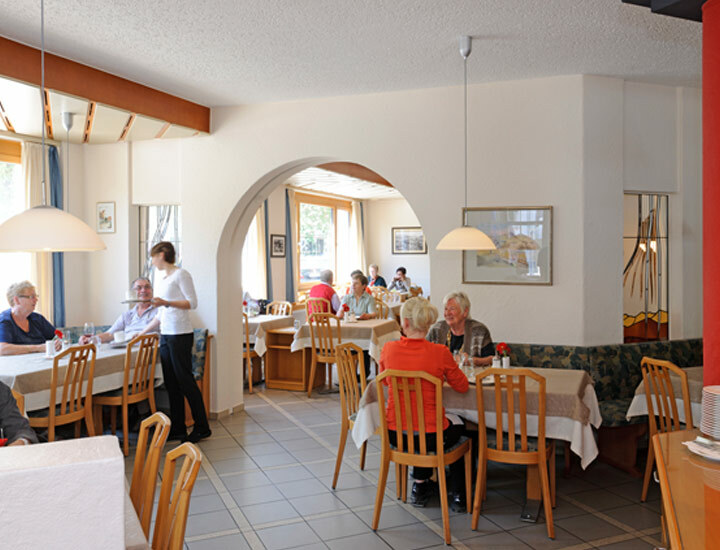 Since March 18, 1990, they lead a restaurant and a hotel with the traditional name "Kranz". The new guest house was opened in 1998. 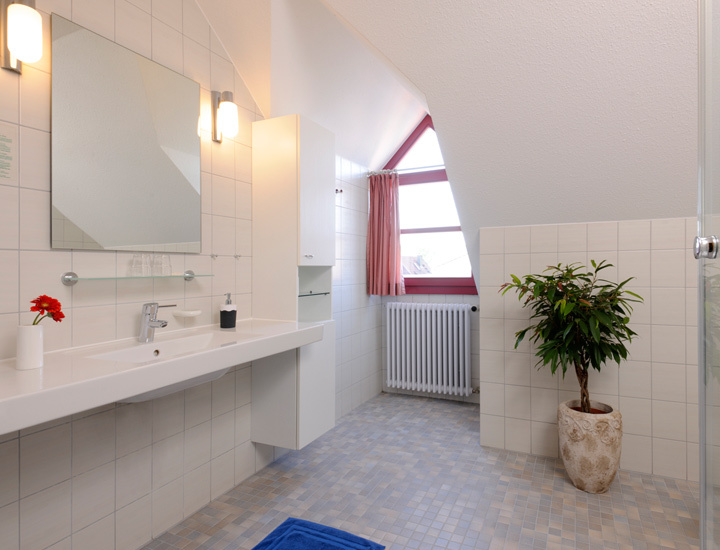 Much emphasis was placed on comfort and privacy. In 2007 the business was transferred to Petra Stier. 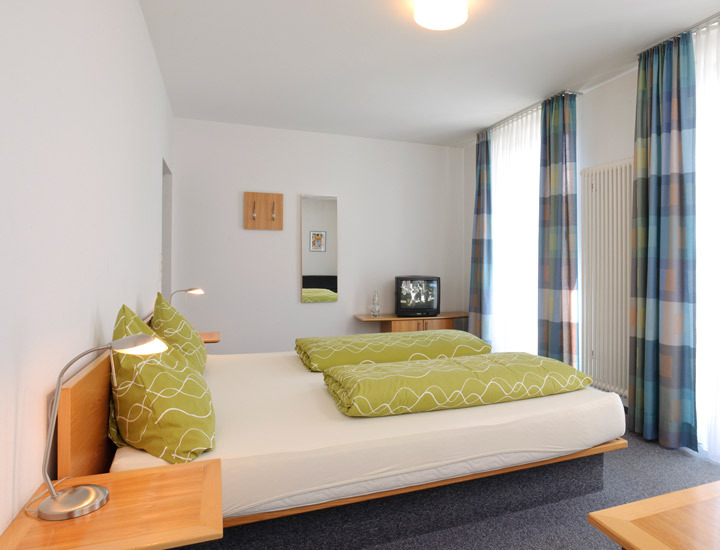 Our hotel Kranz and the guest house Kranz are only about 2, 5 km from the end of the motorway A81 Stuttgart - Singen - Schaffhausen. Take the A81 towards Schaffhausen until it ends in a roundabout. Proceed to the right to Schaffhausen, left to Gottmadingen. After about 2.5 km you will reach Gottmadingen. After another 500 meters you will see on the left side of the street the hotel Kranz and on the right the guest house. You can reach Gottmadingen also easily by train. 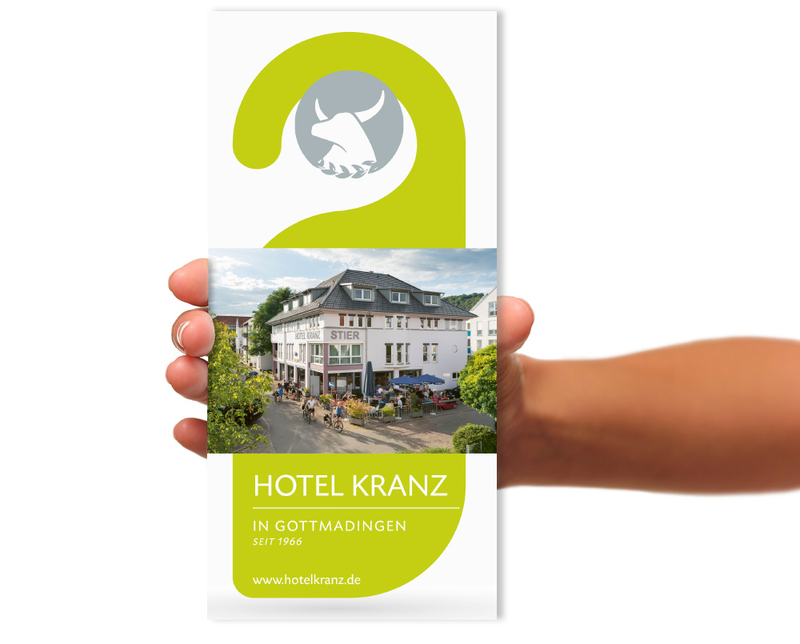 The train station of Gottmadingen is 5 min walk from the hotel and guest house Kranz. There depart every 30 minutes with trains between singing and Schaffhausen. 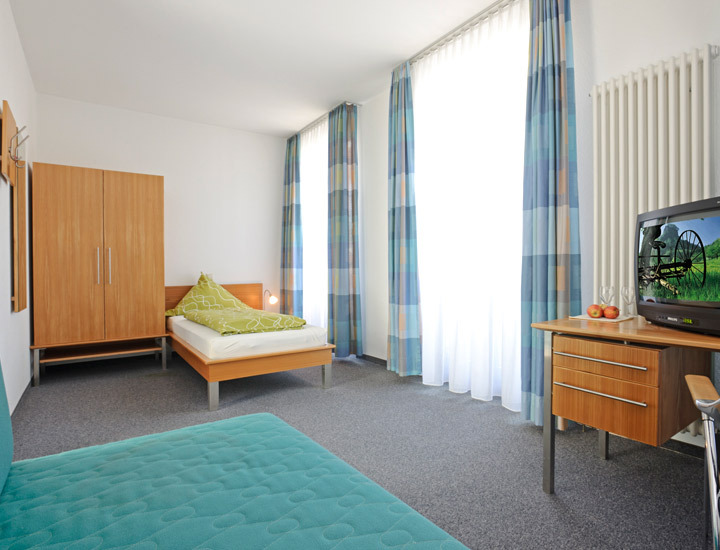 The hotel Kranz makes every effort to provide timely and accurate information provided on this website. Nevertheless, errors and ambiguities can not be completely ruled out. Therefore the hotel Kranz accepts no responsibility for the topicality, correctness, completeness or quality of the information provided. For any material or immaterial nature caused directly or indirectly by the use or disuse of the presented information or by the use of incorrect and incomplete information, the hotel Kranz is not liable unless he finds no evidence of intentional or grossly negligent fault. The hotel reserves the right ring to change parts of the Internet or the entire offer without separate announcement to supplement to delete or the publication temporarily or permanently. The responsibility for "foreign content", which is held ready to other providers, for example, by direct or indirect connections (eg so-called "links"), presupposes among other things positive knowledge of illegal or criminal content. "External content" is marked appropriately. The hotel Kranz on "external content" any influence and makes these contents as our own. 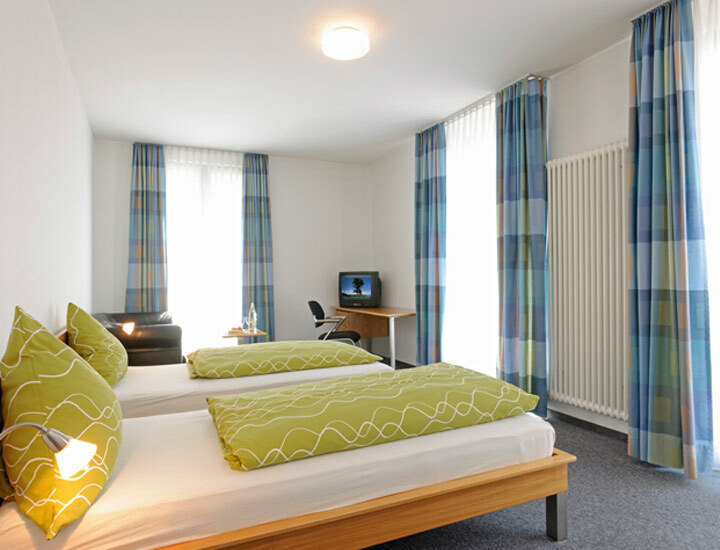 The hotel Kranz has no knowledge of illegal or offensive contents on the linked pages. If the linked pages are illegal and offensive contents, making this hotel the crown of these contents expressly dissociates. The layout, graphics employed and any other contents are copyrighted.